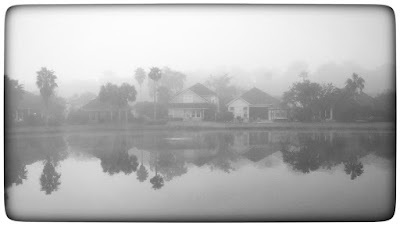 It was a foggy Halloween morning. 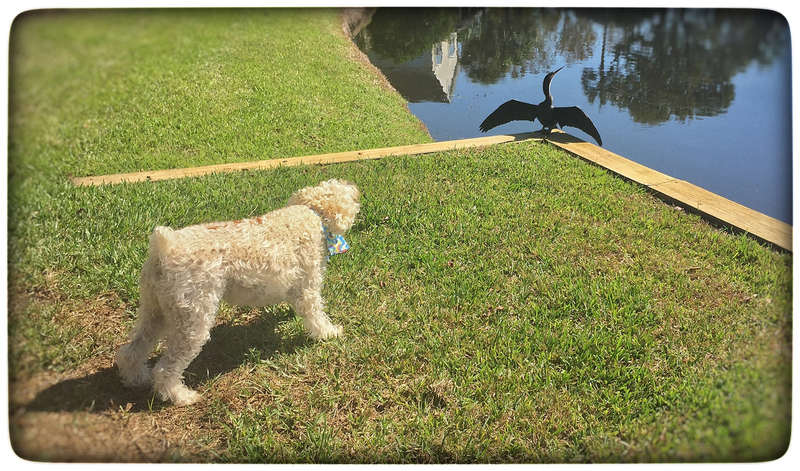 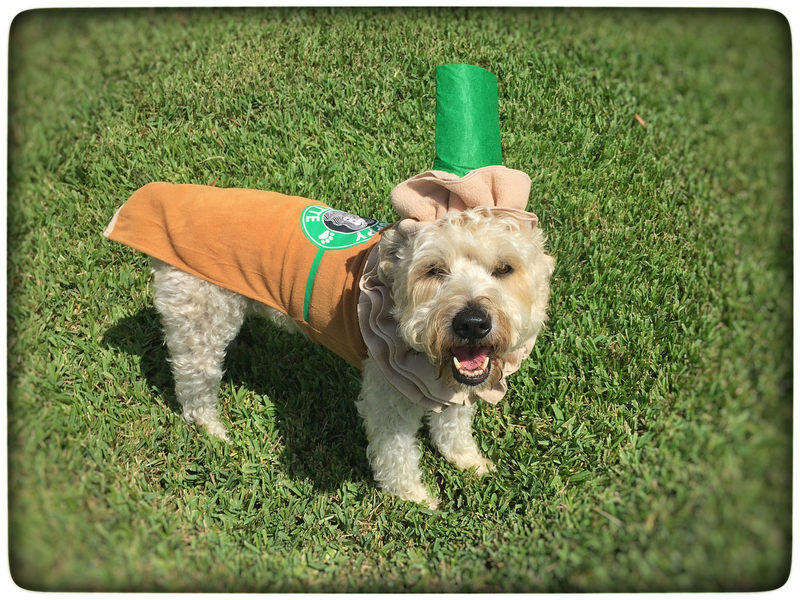 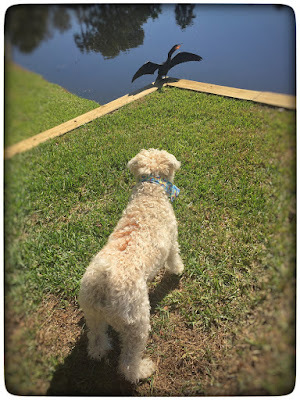 Stella didn't like the trick-or-treater in the anhinga costume! 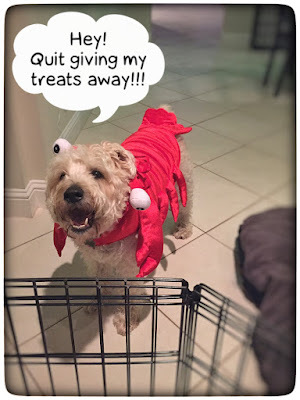 She greeted all of the neighborhood kids in her lobster costume. Stella liked the Puppuccino costume but I decided the heavy fleece was too warm for Halloween in Florida & returned it.